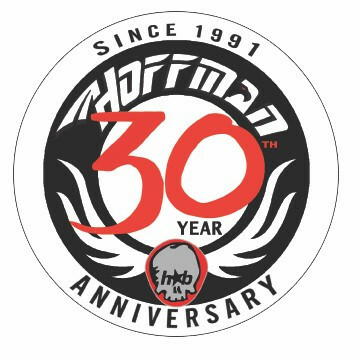 The 25 Year Anniversary Edition Hoffman Bikes range tops out with this, the signature complete bike from UK Hoffman Bikes Pro Rider, Ben Hennon. The frame is full 4130 chromoly, with midsize BB, removable brake hardware, integrated headtube, and a 21” toptube giving you plenty of room up front – and is matched with a set of Hoffman Bikes tapered chromoly forks. Double-wall aluminium rims are laced into sealed bearing hubs, with a 9T cassette rear and female-axle front hub – complete with 2.3” street tires front and back. Full chromoly 8.75” handlebars and Hoffman grips with a new toploader stem set up the front end. A Hoffman Black Ops Pivotal seat, 48 spline tubular chromoly cranks, PC pedals and an aluminium Hoffman 25T sprocket are all built to take it. This is the top of the line Hoffman Bike, a full signature bike – at a price which is mid-level, while the performance is pro.